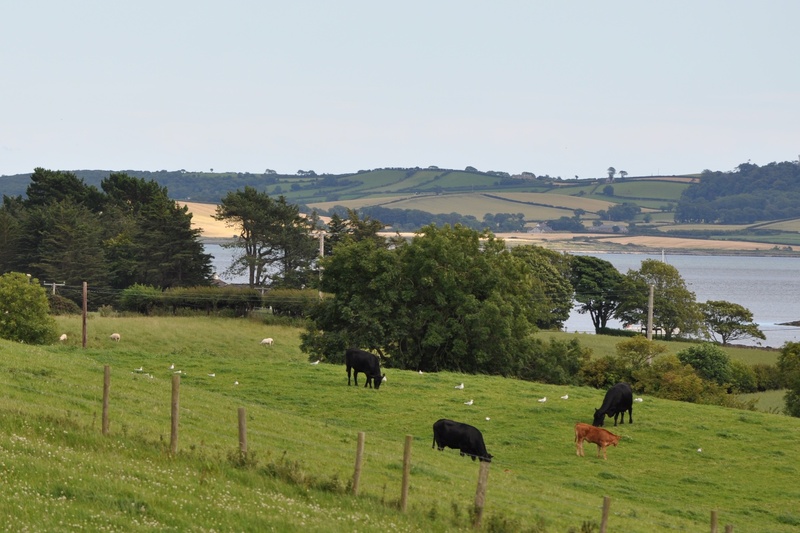 Ringdufferin townland is on a peninsula stretching out into Strangford Lough north of Killyleagh. It is a quiet backwater land of drumlins and water. 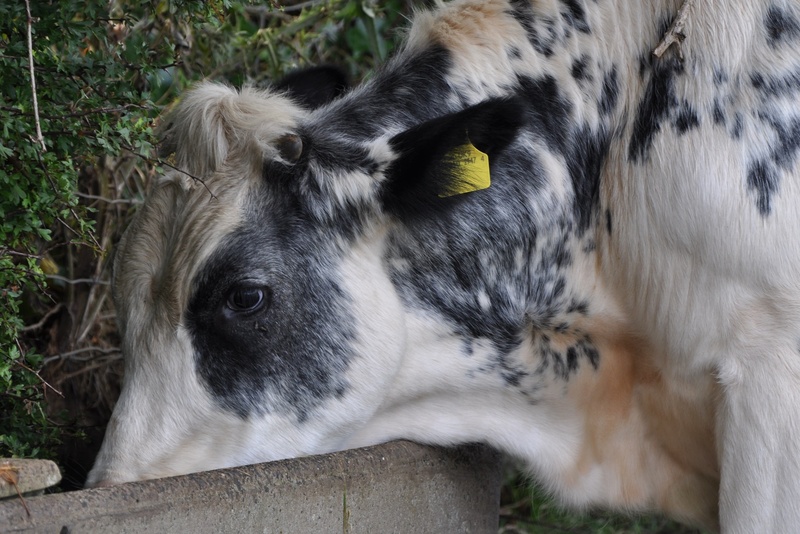 According to the PLACENAMESNI website, the name of the townland means “promontory of the black third” and comes from the Irish Rinn An Duifrian. 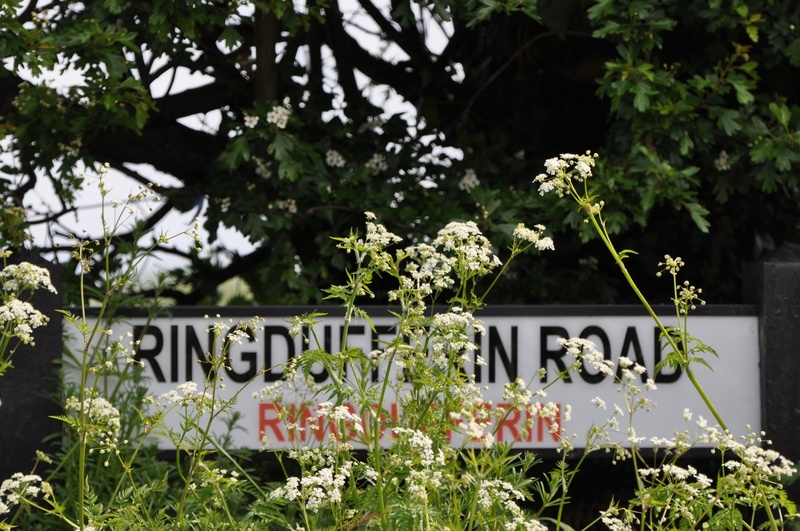 Ringdufferin Road is so narrow that the cow parsley was obscuring the signs and hitting both sides of my car in May 2015. 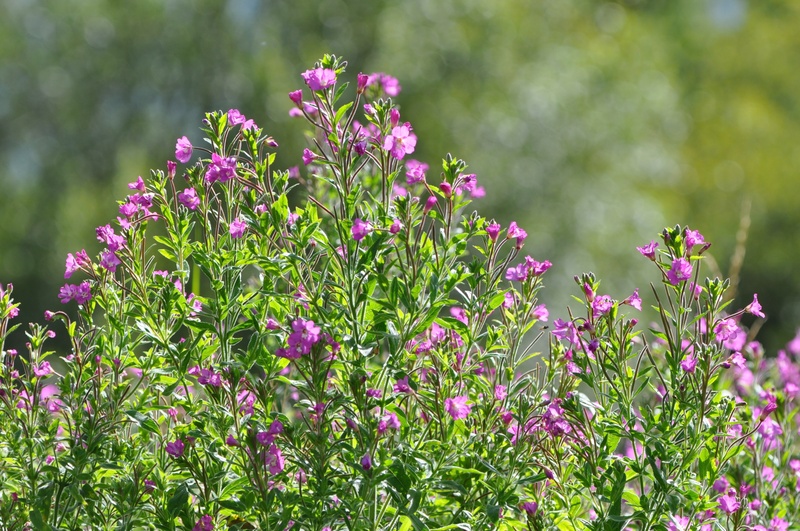 By August, flowers (great willowherb?) 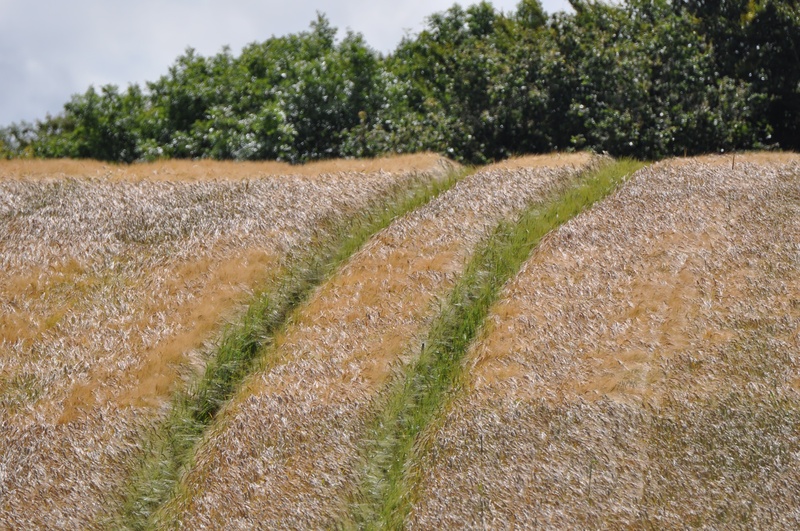 and crops (barley?) were ripening. The August sun was making everyone thirsty. Those of us of less noble birth can play the Dufferin Course at Clandeboye Golf Club or enjoy Killyleagh hospitality at the Dufferin Arms pub and the Dufferin Coaching Inn. 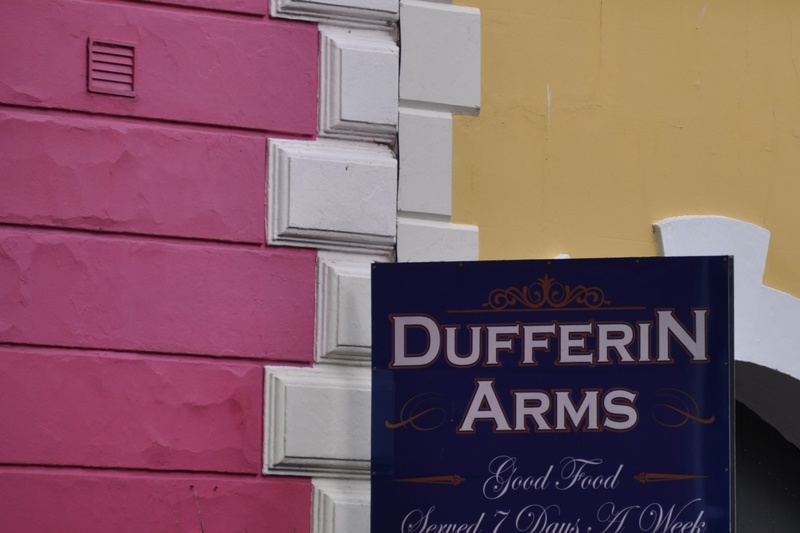 “Dufferin” places aren’t even limited to Ireland. 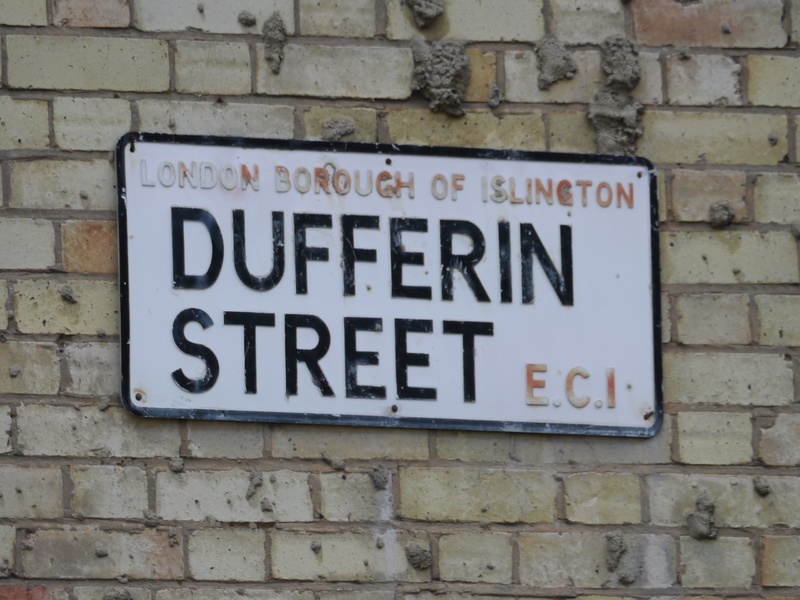 While taking photos for my other blog in London, I found Dufferin Street. There is a Dufferin County in Ontario and a Dufferin Clock Tower in Mysore, both named after Frederick Temple-Hamilton-Blackwood, who held British Imperial posts in Canada and India. I learn more Irish words as I explore these townlands. 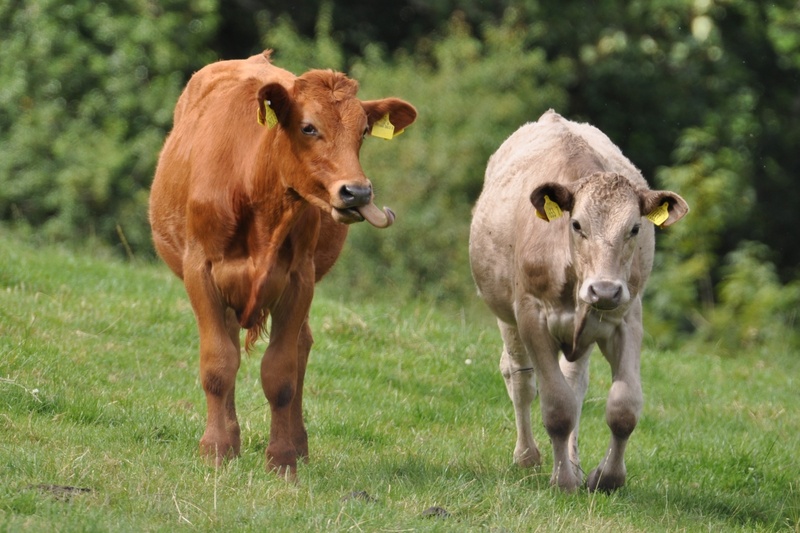 Rinn in Irish is translated into English as “promontory” in the names Ringdufferin and Ringcreevy. I’ve already started work on a post from Ringhaddy. the Introduction to the Dufferin Papers held by the Public Record Office of Northern Ireland. 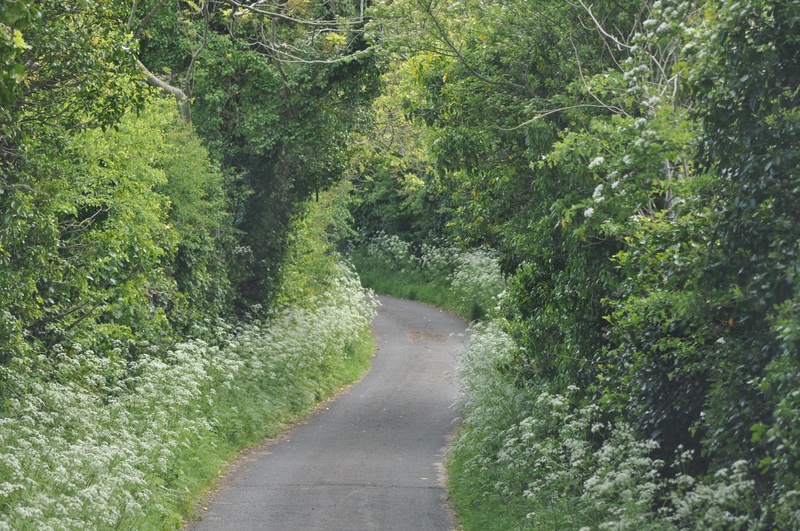 Which other townlands border Ringdufferin? To the north Ballymacarron. To the west, Ballymacromwell. To the south, Rathcunningham. To the east, nothing but water. Click here to see a map of Ringdufferin on Townlands.IE. Click here to see my photos of gravestones related to Ringdufferin.